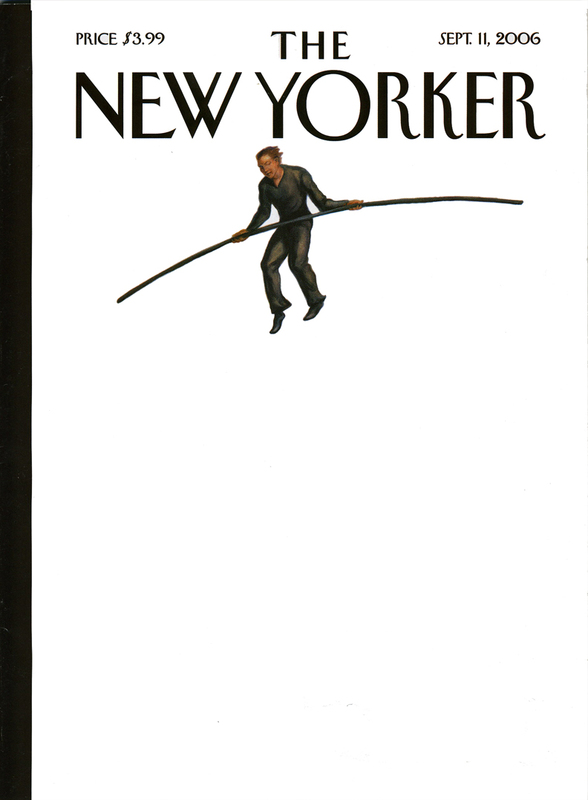 For many New Yorkers a physical sense of loss dominates their memory. The World Trade Center had anchored the skyline of the city since the late 1960s, and was visible from much of the city. 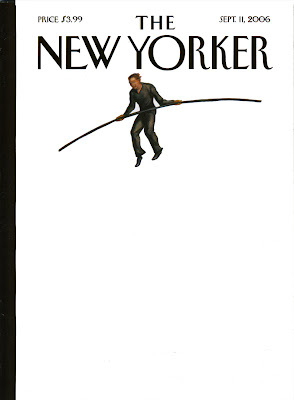 It had become iconic, a symbol of the city, an essential part of daily life, and part of the self-image of New Yorkers. Consider just the thousands who would gather each sunset along the "Promenade" in Brooklyn Heights, to see the sun fall into the western sky between the Statue of Liberty and the towers of the Trade Center. 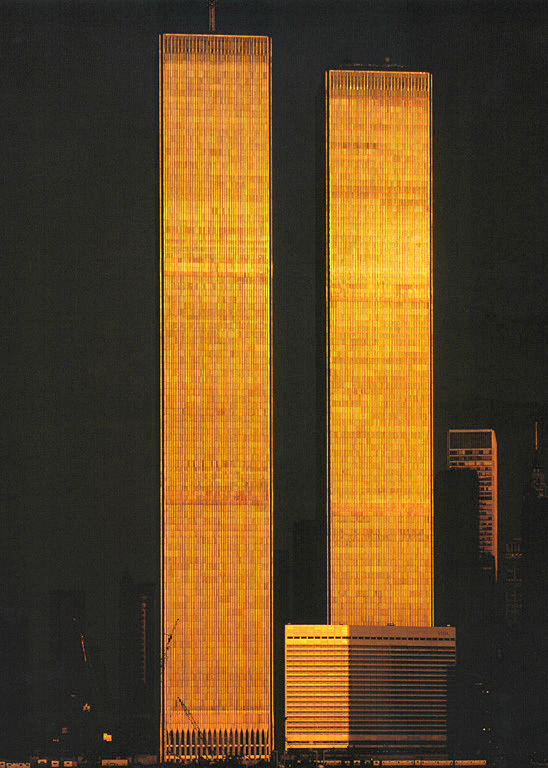 In that hour, Yamasaki's towers would first glow golden, and you could see the light pour through their columnless and mostly wall-less interior, and then they would assume their night time role, twinkling with the millions of lights inside. Or all those who rode trains or drove into the city each morning, watching the towers again glow golden in the sunrise, before settling into their daytime silver. So, what "remains" when New Yorkers over a certain age look up from Brooklyn, or down Manhattan's Seventh Avenue, or east from New Jersey, is a ghostly absence. This New Yorker is even trying to build an "augmented reality" smartphone app which will show visitors how the towers looked. When so many died, it may seem odd, or even insensitive; to discuss buildings, but the image of any community is important. How does a place deal with landmark loss? Why might it be very important to many New Yorkers to have the site rebuilt, to have, once again, towers of that size? Some New Yorkers wanted to reconstruct the World Trade Center, as the Pentagon was reconstructed after September 11. What would you think of that idea? What landmarks define where you live? Have any local landmarks been lost? These are not unimportant questions. From water towers to grain elevators, church towers to giant chimneys, big schools or big office buildings, certain structures come to define our communities. Consider the Space Needle in Seattle, St. Paul's Cathedral in London, the Golden Gate Bridge in San Francisco, the Water Tower in Chicago, the Eiffel Tower in Paris. But also think about the old grain elevators which dominate the waterfronts of many cities (this one in Buffalo, NY) and the centers of many small towns. 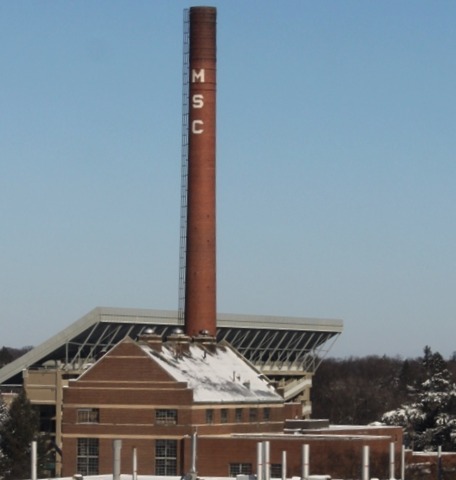 Or just an old smokestack, such as this one which rose above the football stadium at Michigan State University. So, as they explore the many meanings and impacts of the events of September 11, 2001, students may want to search local history to find their own lost landmarks; they may go out and photograph locations where landmarks once existed. This delves deeply into the psychology of history. How will they search for reports of how locals felt when these landmarks were lost? What is the memory now? An exciting next step for students would be to create QR codes to tag locations in their community. These QR codes might lead to images of landmark views of the past, or to interviews with those who remember the landmark, or to stories about the landmark.